Joe Williams is familiar to his innermost being with the terms Post Traumatic Stress Disorder (PTSD) and Compassion Fatigue. You could almost say he wrote the book on them, or at least edited it. 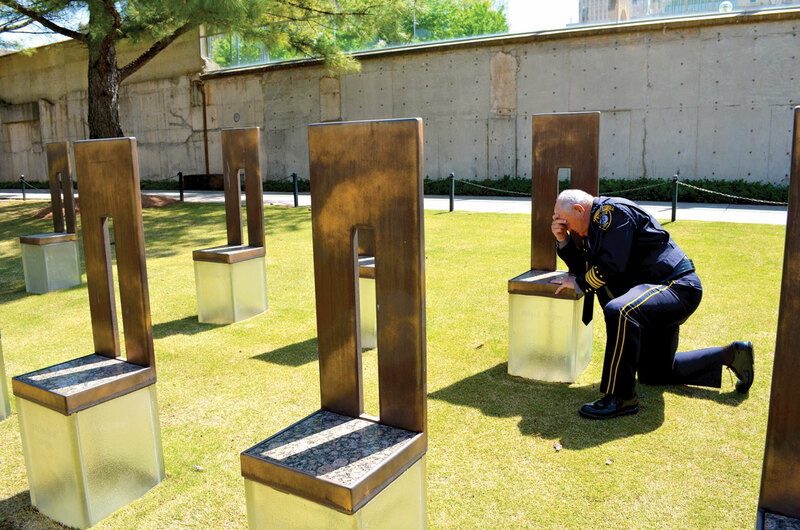 But, he had to deal with the terrible images of death and destruction on a deeply, intimately personal level before he could begin to help others deal with the images and issues that plagued them after tragedies such as the bombing of the Alfred P. Murrah Federal Building in downtown Oklahoma City on April 19, 1995. 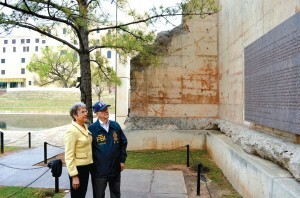 Williams, 79, recently poured over more than 100 photographs he had saved since that terrible spring day in the Sooner State’s Capital and donated most, if not all, of them to the Oklahoma City National Memorial as the 20th anniversary of the bombing approached. 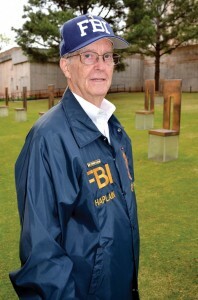 Williams, who was the chaplaincy and community services specialist with the Baptist General Convention of Oklahoma (BGCO) and a chaplain with the FBI at the time of the attack by Timothy McVeigh and co-conspirator Terry Nichols, said he spent almost three weeks at the site following April 19. “Had we been gone, we wouldn’t have been here that day. It wouldn’t be long until Williams faced what causes PTSD personally. “I can remember one of the days after (The bombing) I had been down to the Medical Examiner’s office, and in one of their refrigerated rooms, they just had little arms and legs laid out trying to figure out how many children they actually lost, and I needed to see that, so I would know what they were working with,” he explained. “The next morning, my granddaughter—she was about three—I saw her running down the hallway away from me in our house, and I saw her blown apart. But before the home remodeling, FBI supervisors in Quantico noticed changes in Williams as they read his daily reports, and took measures to get him help. “I got a call from my secretary about 20 days after the bombing, and she told me the FBI chaplain coordinator said my airline tickets were ready for Washington, D.C.,” Williams said. “I told her I wasn’t going to Washington, but she insisted they wanted me to come. “I called to see what was going on, and he told me they needed me to come and meet with other chaplains to discuss what would be needed to be done in the future because they expected similar incidents in the future. “So, I went, and these two guys in dark suits met me at the airport. I found out later that they had checked with my secretary and my wife at the time, Dorothy, to check on me. They also had read my reports and were worried about how I was doing. “They took me to a hotel, and, pretty soon, I met with someone to go over some of the things in my reports. Later, a police psychologist from Boston came in and said the other meeting really would be held later, but he asked me to go over all of my experiences, and I unloaded my garbage on him over three hours, especially the incident with the children and my granddaughter. “We went through the process of EMDR—Eye Movement Desensitization and Reprocessing—where you take an image that’s in your face all the time mentally and you shift it; you move it to where you can recall it if you want to, but it’s not right in front of you all the time. “On the way downstairs, I was in a hurry to see some children to see how well he had done his job. Sure enough, we saw some children, and he stood back and held his breath. He watched as I looked at them. Williams became an FBI chaplain on Jan. 1 1991 when the FBI began its national program, selecting one chaplain from each state to join the program. “I was a member of the team that was still putting together the program in 1995,” he said. 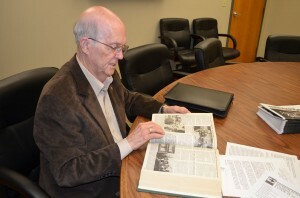 Williams began as a chaplain with the Nicoma Park Police Department in 1982 when he was pastor at Nicoma Park, First. In response to the bombing, he worked with the BGCO and FBI personnel, and Poe worked with the OCPD, the Secret Service and the National Guard. The bombing was personal to him, of course, in that he had to make death notifications to families of members in his church who were killed in the blast. “One of the difficult duties I had was to make those death notifications,” he commented. Williams said one of the most frustrating aspects of the bombing response was coordinating chaplaincy overall. “One of the things that Jack and I did, along with Jack’s wife, Phyllis, that others would not have been able to do quite as well, was that we had an influx of people coming in who wanted to be chaplains and tried to convince us they were chaplains. Well, everyone had to go down to the command center to get credentials to get inside the perimeter. Not only did Williams minister as a chaplain, but he also represented the BGCO as a member of the committee that distributed donated funds after the bombing to survivors and victims’ families. The total was more than $400,000. Since that fateful day in April 1995, Williams has held Psalm 139 close to his heart. He continued to get training after the bombing—including working on compassion fatigue with Charles Figley at Florida State University—and eventually formed the Crisis Intervention Institute, which conducted seminars and training on traumatology, compassion fatigue, disaster preparedness and response to violence. “We did three-day workshops for eight-and-a-half years, once a month in Stillwater for victim families, survivors and first responders,” he said. “I started doing seminars on compassion fatigue for different groups—law enforcement, fire fighters and medical personnel. Then we modified it to fit what we wanted to do. I have one for pastors, and we changed the name of it to Maintaining Resiliency and Effectiveness in Ministry. Depending on what group it’s for, we change the last word to match the group. Despite all the tragedies that came out of April 19, 1995, Williams loves to recount one victory. “The first night, I told him we had a room for him and he said, ‘Old man, I told you I don’t like you. Stay away from me,’ and he left. “I didn’t think he’d come back, but he did. “The third day, we were getting ready to close out and he said, ‘Old man, stand up.’ He walked over and put his arms around me and hugged me. Then he backed up and said, ‘You saved my marriage, you saved my job, you saved my life,’ as he patted his holster holding his service revolver. Williams has been asked to speak at a church on the 20th anniversary of the bombing, and said he will probably do so. He also plans to attend a reunion of first responders on Sat., April 18.